I have been cooking like crazy this week! With that being said, I have cooked two unimpressive entrees that were definitely not blog-worthy. 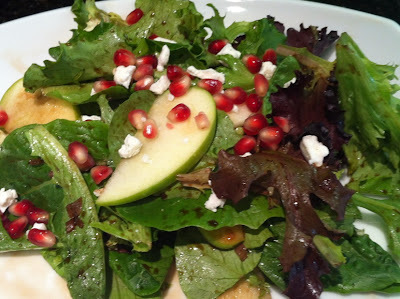 Fortunately, this side salad made up for my entree mishap last night! It might as well have been our main dish. Heat olive oil in a pan over low heat. Add shallots and saute 4 minutes, until soft. 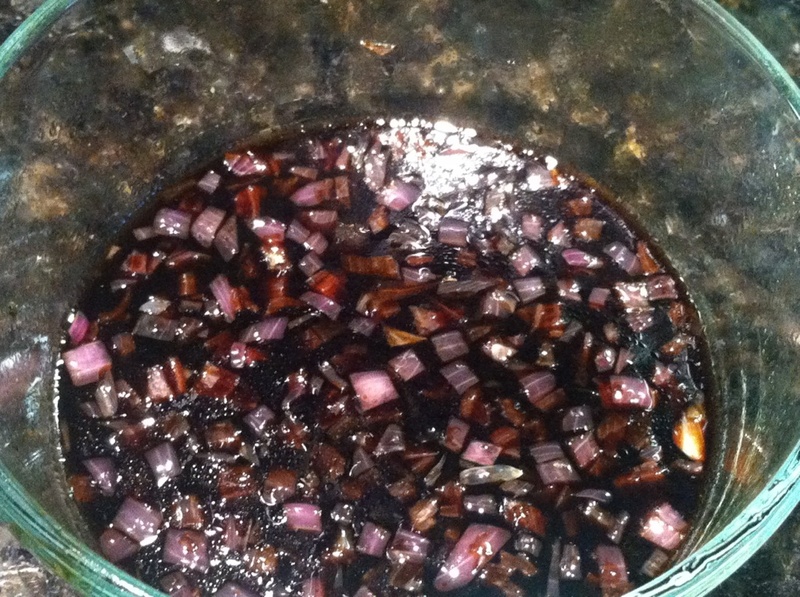 Remove from heat and stir in balsamic vinegar and honey. Combine spring mix and apple slices in a large salad bowl. Drizzle with half of the shallot dressing and toss to coat. Divide salad evenly among six plates. ***If you are making this for only two people, instead of mixing your salad in a large bowl, divide your salad evenly between two bowls. 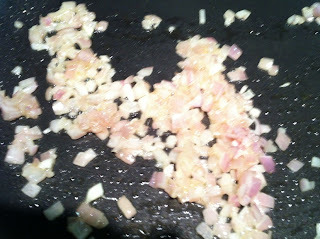 Then add as little or as much dressing as you want on the salads. A little dressing goes a long way on this salad! Top with goat cheese and pomegranate seeds. Make sure you check back tomorrow as I a writing a "how to" about deseeding a pomegranate!